Software development provides the best solution for various supporting activities with the internet. Internet usage has created different technological solutions to support every human activity to be more efficient. Each transaction can be done quickly and cheaply. The application of technology for various activities dramatically helps everyone to achieve the highest level of comfort in utilizing it. The software is the key to every comfort in digital transactions. Not only digital operations, but every activity you have in the virtual world also requires suitable software such as games and utilities. Making software usually requires a trusted third party and can follow what you want. Trusted programmers, of course, you need so that the software you wish to can be completed in full according to the timeline. The features you want can also be made complete and can be appropriately used. Over time, the creation of software using outsourcing services usually takes a long time. Besides, sending files is also usually expired. This can occur due to various factors. It can also happen because more and more parties are using outsourcing services in making software. Multiple problems are also experienced by outsourcing software because most of the customers do not give a specific description of the desired software. This certainly will make programmers take a long time building and spending a lot of money without transparency of transactions. The desired software cannot be completed according to the schedule, and the required costs are also increasing. The developers are also in a position where there is doubt in shipping that can reduce confidence in sending projects. Every time a shipment is made, the developer is in doubt because it leads to a high risk of failure and negotiation. Various problems often occur in ordering and giving projects so that the creation of software takes longer than expected. Not to mention when there is a conflict with payment due to unclear project specifications. This can occur due to miss communication on both parties when carrying out transactions. 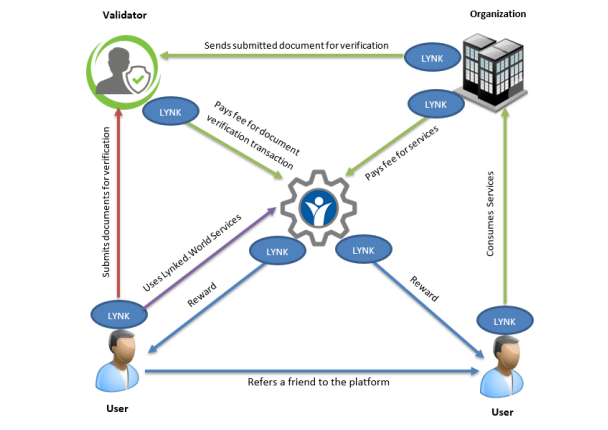 When the project specifications are not by the wishes, a payment dispute can arise. This makes the vendor feel worried when they are faced with the risk of not receiving payment for the completed project. Clients will also feel concerned about an increase in costs to meet the initial plan in making software. These problems always occur in software making transactions as the primary risk. To deal with this, a system update is needed in making software with transparent transactions and optimal processes. Engineer.ai is here to provide solutions in software development with AI-powered eco-systems and blockchain technology. Visit the ANN thread and see the whitepaper to find out the concept of making it. How Engineer.ai Work to Create the Software with Blockchain and AI? You will see a new system in making software through the Engineer.ai ecosystem. This ecosystem uses blockchain technology with AI so that it will assist you in making software professionally at affordable costs and a high level of satisfaction. You will be accepted by expert developers who can work on the software according to the desired time. Content creators do not require technical knowledge to realize the desired project. Engineer.ai knows well the type of person who orders the project. Not all customers can provide descriptions to technical aspects to explain the desired plan. Engineer.ai will utilize AI to adjust customer desires with the development team. Matching will be carried out by an AI-based system so that it will be more reliable and accurate. The use of AI is undoubtedly the right solution in utilizing more sophisticated and advanced technology. You can also save costs in making software. It was also supported by duplicate work that was eliminated when using components. Financing will focus on the use of elements ordered by each customer. The use of blockchain technology will undoubtedly make your transaction transparent. A decentralized system on the Engineer.io platform will help everyone increase their trust in the digital ecosystem. Transaction management will be supported by a smart contract so that it will reduce the risk of payments that are not under the agreement. Smart contracts can also ensure that project work can be carried out following the deal. Budget delivery can also be carried out according to regulations and is safe. The use of blockchain and AI technology is the best solution for improving transaction quality in digital software development. Your new experience in ordering software will be a top priority for the Engineer.ai ecosystem. You can say goodbye to conventional systems with various problems and switch to using the latest blockchain and AI technology. Visit the engginer.io website now and register yourself to get the best experience in making software. Why Engineer.ai Use Artificial Intelligence (AI)? Problems in making software through outsourcing services usually start from poor communication between developers and clients. Each client certainly has a different character, and most of them do not know the technical management. The most significant potential error starts with the lack of proper communication at the beginning. In the end, this can lead to the disposal of time because the developer is not precise in making the software so that it needs to be rearranged from both the functional software and the features obtained. Besides, financing can also experience swelling to make software adjustments and the time required will undoubtedly be longer. Engineer.ai wants to provide a better system concept by deploying AI to capture every client’s details. Every detail will be matched with the developer who is ready to make the software according to the description. The concept of AI is not the first time applied to a system. The combination with blockchain technology will undoubtedly create an extraordinary operation. AI itself is a machine intelligence which is undoubtedly different from the natural intelligence possessed by humans. AI will be applied with a system that can study individually in handling clients. Actions taken by AI will be carried out automatically based on the experience of dealing with clients. Every decision made based on AI will be carried out appropriately and by the wishes of the ordering software. AI will represent the limitations of every order in describing a technically desirable software concept. Adjustments made by AI will provide the developer with an accurate picture of the software and features desired by the client. The use of AI will undoubtedly help the best communication between developers and software buyers. It is very supportive of making software by the order and can be completed on time. Trust will be built with distributions that manage the identification and security of shipments. Each platform will have a mission to launch its development so that it is in line with the desired concept. The purpose that is built will also be the spirit of the platform in giving the best to every user who is incorporated into the ecosystem. 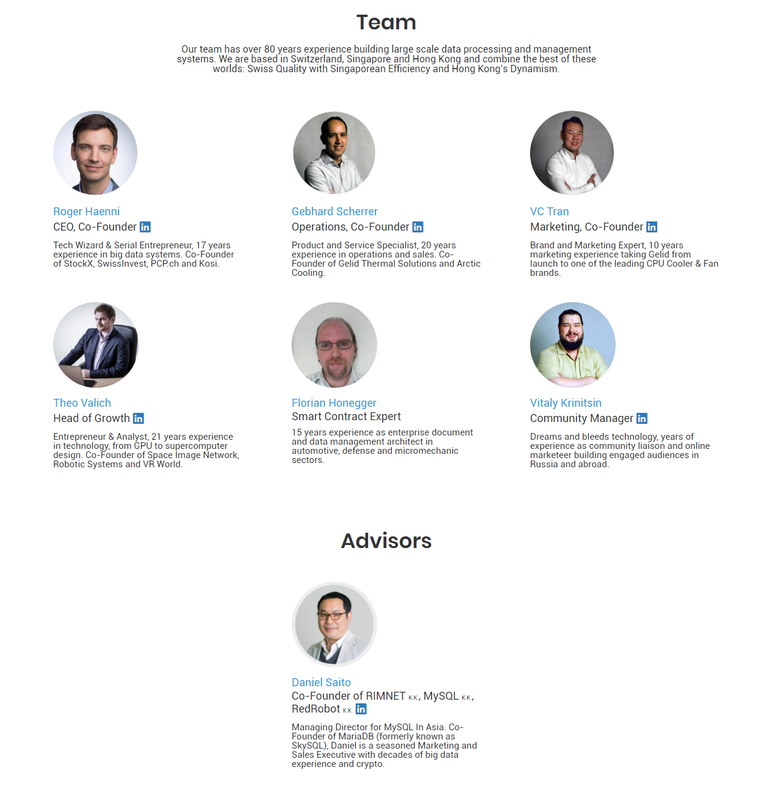 The Engineer.ai developer team consists of experienced professionals consisting of 26 thousand engineers. Their experience was supported by 3,200 clients, and platinum opinions reached USD 23 million. Its development is also very rapid to 150 percent a year. This was a good start for the development of the Engineer.ai system to meet the needs in making blockchain and AI-based software systems. Blockchain technology and every AI-driven model will be run with industrial processes to enable the achievement of clients globally. Development of a system using AI will make customer consultation easily carried out so that software can be prepared according to the appropriate experts. The use of blockchain and AI technology can ensure that every transaction can be made on schedule. Costs incurred will also be by the agreement at the beginning. The placement of professional experts will make all software can be made on time and quality. The smart contract will handle each deal so that it can be ascertained that every software can be created with a definite cost, timeliness and best quality. Transactions that are transparent will support you to get the best experience in all the deals you make. The use of blockchain technology also helps the avoidance of duplicate work on every feature you have. Development will be more quickly resolved. The mission of developing Engineer.ai can be the best solution from a conventional system with updates. Blockchain and AI technology systems will undoubtedly continue to be designed to improve full features and services for the satisfaction of all ecosystem users. The various features available on Engineer.ai will help you gain valuable experience in software development. The Engineer.ai concept that uses blockchain technology systems is ready to help you get the best experience and have a more efficient transaction. The cost and processing time will be by the smart contract that you made at the beginning of the software order. The expert development team will help you have the software that you want. The Engineer.ai developer team also consists of professionals in their fields to get the best system. You will use the token as a form of agreement in every transaction made. The use of tokens is also a manifestation of the application of blockchain technology to ecosystems. This will make you more efficient and faster in completing transactions. Every client who orders through the platform needs to have a token to transact. Token NAYA will make everyone able to transact safely on a digital platform. Customers will make purchases that work on the contributor market. Completion of software creation can also be ensured by exchanging through Naya Tokens. Verification of accuracy in work will also be carried out by NAYA with a set of QA that will be obtained from the contributor network. When you submit some tokens in a transaction, an agreement will occur, and you don’t have to worry about completing the software. Payment can be exchanged with the NAYA Token. Everybody will get the best experience in transacting through Engineer. Every transaction will be made in a smart contract that will have the role of escrow. 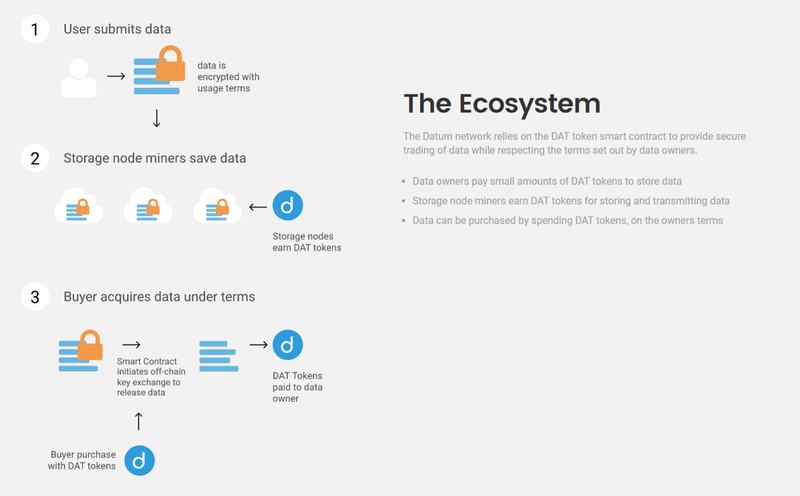 Smart Contracts will also be strong evidence stored on a blockchain decentralized system. The funds issued will act as milestones of achievement of all transactions carried out. The ownership of NAYA Token is essential for the continuity of the transaction agreement on the ecosystem. NAYA becomes a token that will be used in various chain block technology platforms. This token is an ERC-20 token that will be the only distributed payment between the client and the contributor to the eco-system. You can register directly on the website to join exclusive pre-sales. To be able to join you need to fill in your full name, email address, and the amount of allocation you want. The token sale has determined the hard amount of a clear stamp of 20 million USD. The number of tokens to be distributed is 1.25 billion. You can evaluate the form of ETH and BTC. AML / KYC will also be needed to check the needs of customers who will join the ecosystem. The use of tokens can be done according to the function of the platform, namely the creation of specialized software. Every service offered on the internet will require the use of some NAYA Tokens. Services available on cloud hosting ecosystems and third-party SDKs. The payment mechanism itself will use the NAYA token for capacity and contributors to the network at a premium. The number of token sales is minimal. You need to make purchases according to schedule. You can also use social media from Engineer.ai to get the latest information regarding software development. Allocation of funds obtained from the sale of tokens is deducted for platform development, construction of the establishment block, development of the blockchain platform, operations, sales law and. The complete development platform will depend on your proportion. 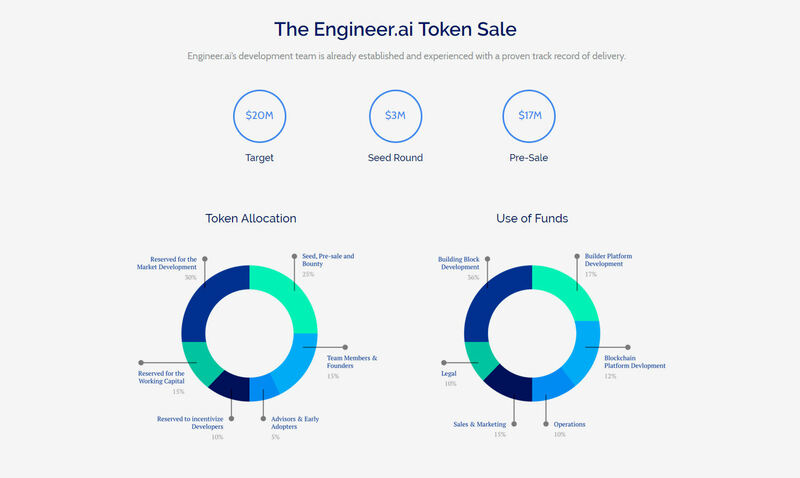 Immediately make your provisions on sales of tokens and enjoy the Blockchain and AI systems in making software only on Engineer. The advertisement is the essential aspect of the marketing since the ad promotes the very product that a company tries to sell. Without the proper marketing, the company will never be able to sell their product properly and thus will incur a great loss for the company. The company will hire the best marketing staff to endorse the marketing and the advertisement effort and ensuring that the advertisement has been tested and proved to be efficient and effective. There is a lot of methods to conduct the ad today, as we can see a lot of ads in the street, mass media, and so forth. The ads ravage our world, and that will still be going since the world of business is always expanding. But as the introduction of the digital advertisement about several years ago, things began to change dramatically. The world of digital advertisement has brought a lot of potential for many people in the world since it is a lot cheaper compared to the conventional offline banner ads, but the scale is far higher and wider. Once you have put the ads on the internet, nearly anyone across the globe with internet access can see your ads and become the potential customer. The customer which you never see, know, or even in one same country with your company. The digital advertisement is a revolutionary method In the advertisement realm, and that is something to be cheered for. The cost of the advertisement has dropped tremendously compared to the offline advertisement effort. This will enable the company to spread their goods easier and faster and embrace the people across the globe. But there is a grim, and sad fact concerning the world of digital advertisement, as they need are also influencing the world of the internet, and thus the internet user as well. Here are several major blows which have been incurred by the internet advertisement. The risk of security has been doubled since the dawn of the internet because the internet is a free for all platform where anyone on this planet with a proper device can access to. The security risk that is imposed by the internet is the malware or any malicious software which will harm your device. The malware can hijack your computer, steal your data, and even destroy your internal hard drive. Once the malware has invaded your computer, it will take time and effort to remove the malware, and thus makes your computer even more vulnerable to any further attack. The malware resides In the crack or ads which can be found on the internet, and anyone can receive such an attack if they do not caution when they are surfing the internet. The banner ads or any ads are very annoying for several reasons, and one of them is because their ads consume too much data and not being handled properly. Take a fraud banner ad for example, since they are very slow in loading the pages and makes the data cost so much more than the necessity. This is what makes the internet so pricey today, and therefore hindering the access to the internet for those who are unable to afford the price. The ads are also too much, and therefore they block the true content of a website and makes the surfer harder to read or enjoy any particular website they are visiting. The ads, especially the “uncommon” kind of products usually have a very intrusive and provocative method in delivering their information, and therefore the internet user has a problem in seeing the ads. The advertisement here has a problem in delivering the information, and that is very annoying and makes the internet not so friendly for everyone. The advertisement comes with very different types such as the pop ads, the banner ads, and so forth. The pop ads are the worst type for all since they pop out of nowhere and start loading. The load page is so slow, and therefore it will take data charge so much and makes your internet cost very high. Internet will never run out the ads anytime soon, and therefore the internet will always be filled with the internet advertisement. The abundance of internet advertisement will make the viewer seeing the ads they’re less desired. This will make the user hates the ads they don’t even want to see, and make the internet automatically close any ads even if they do want to see the ads. This creates the bad habit for the company and makes them lost their potential customer as well. This is surely not healthy for the company and the internet user, as the company keeps spending money they deem unsuccessful for their marketing campaign, and the internet user also will never get the ads that they need for their life. This kind of cycle needs to be broken, and thus a new solution is very needed for both of the parties. Today, the advertisement world has created the largest share of the company spending, since the marketing effort is the only way to promote their goods. The internet has created a great place for the advertiser to promote their goods and makes the world very much connected to any company. But still, the world of internet advertisement need a lot of improvement since the internet is not so friendly for the user and thus makes the ads less desired for everyone. For further information concerning the internet advertisement program, you can access the webpage here. The world of digital advertisement now has meet the great and groundbreaking invention called the blockchain ecosystem. The blockchain itself is the is the decentralized and reliable platform that could become the sole solution for the whole issues that is now ravaging the world of the digital advertisement today. as we have stated above, the issue of the digital advertisement is all around the platform and the user alike. The issue is already worsened by the declining of the trust from the customer, and therefore the solution must do at least three things, which are to raise the trust of the people, reducing cost for the ads to be shown, and to eliminate all form of intrusive and annoying forms of ads. Those issues are very ravaging the advertisement realms today and thus this ecosystem should be able to do so. The ecosystem here very reliable, as they are fast, cheap and flexible. The ecosystem is called the ubex, and the ubex here will put an end to every kind of online advertisement issue we know today. 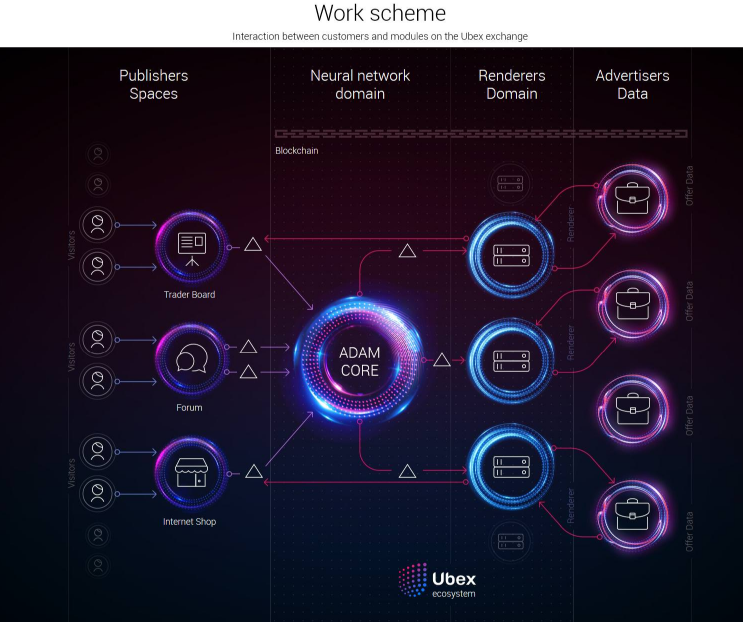 The ubex itself is the platform which runs to enhance the efficiency and effectiveness of ads and thus making the company are willing to put their money more on the advertisement on the internet. The platform of blockchain is mostly decentralized, and the decentralized platform is meaning a faster and most reliable connection for all people. The decentralized system here also will ensure the anonymity and the discreet profile for each user, so that the platform won’t be able to track and analyze each user’s profile deeply and steal the valuable information. Before we jump further to the token sale, we need to know further concerning the platform traits, so that we can know how the platform will work. 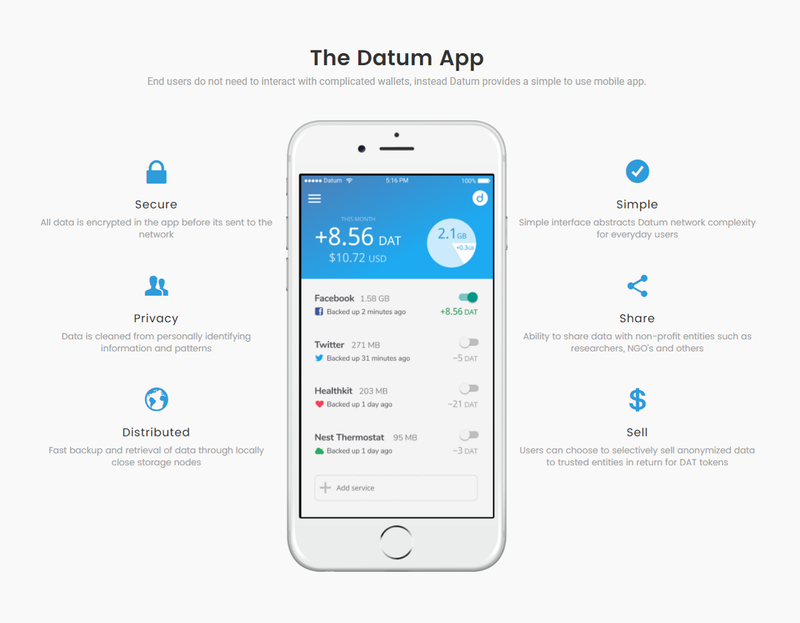 Here are several short explanations concerning the scheme of the platform. Just like any other platform that you know on the internet, before you even be able to join the platform, you need to purchase the token. The token sale will be further explained in the last chapter of this article. The platform issues the token called the ubex token, and that token is the sole means to conduct the transactions inside the platform, and therefore you need to purchase the token if you want to enjoy the traits and benefits from the platform. 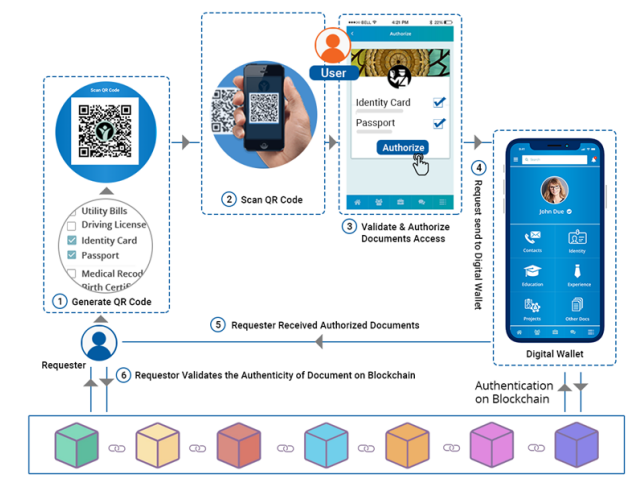 After you have purchased the token, you need to log on to your account, and once you have done that, you will be integrated with the neural network scan. The neural network scan is aimed to know the relevance and the goods that you desired most. This scan will enable the ads only shown which has the most relevance to your desire. This is exclusively just for the advertiser, which are the one who needs to put the ads in the publisher. The publisher, without the platform, are scattered, and therefore it is very hard to come by. With this difficulty, the company usually need to find the market research staff and thus will make the good is actually pricey and almost out of reach from the majority of the customer. The platform will show the existing publisher so that the company doesn’t have to look further and look in the publisher list. This list is very helpful so that the company can completely remove the middleman and the marketing research team. By doing this, the company can reduce the price for every good and makes the people can purchase the goods which advertised. The people need to trust the verified ads, and thus the platform creates the rating scheme. Once the people have already joined the platform, they now can rate the ads by giving them the points, and therefore you can know what kind of ads that you can trust and what kind of ads that don’t. The verified ads will be shown more, and makes the people want to visit, and will likely to be purchased, compared to the ads that don’t. This way, the ads will be no longer be intrusive and invasive, and finally, a better and friendlier internet world has emerged for everyone. And the last trait will be tokenization. This scheme will make the ads world even more inviting, as the people can now get the token by visiting the ads that have been shown there. The ads will be visited more, and it will increase the likelihood of goods will be purchased. The token will be given for those who visit the ads, and by that way, people will be very happy in visiting the ads. If you want to know more about the token traits, you can visit one of these pages. The token sale is the only way if you want to get the token at all, and since the token will not be produced outside the token sale, so you better purchase it soon in the token sale. There will be about 4 billion of a token, where 72% of them will be used for token sale, and the rest of them will be spared to the reserve, bounty, team founder, and advisor. The caps are also present in the sale, where the soft caps will be about 4.000 ETH and the hard cap will be 28.800. Currently, the team has already raised over 26.000 ETH and soon the sale will be concluded once the hard cap reached. The sale date is around 15th of may, to 30th September, so it will be around one month left for the people to join the sale. But the developer expects that the token will be sold out just before the sale end. Right now, the platform is preparing themselves for the grand launch in the late of the year. There is no pre-sale or private sale in this token, as the only sale which is recognized is the public sale. The public sale yields were the different bonus, from 20 to 0%, as it will decline each week. 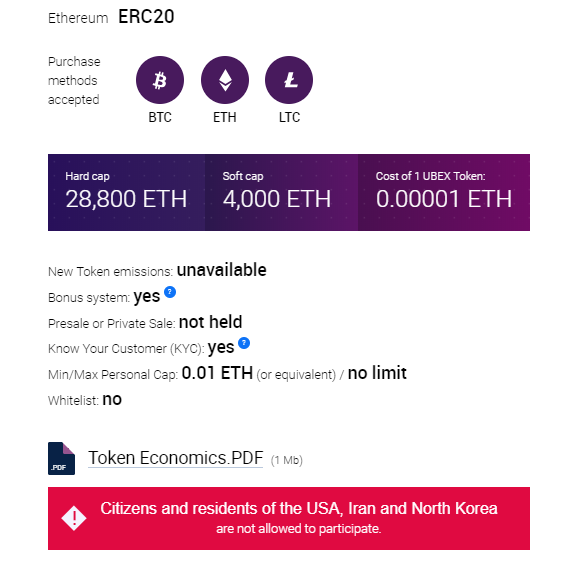 If you want to enjoy the benefits by joining the ecosystem of the ubex, then you better purchase the token as soon as you can since the token sale will end in a very short moment. For further information concerning the token ICO, visit here.